'33 Willys. 383 Chevy Small Block, 4 bolt main, Weiand 671 Blower, Dual 750 Holley carbs, Turbo 350 2800 3200 stall, 9" Ford, 4.10 gear spool, Active Power fiberglass, Bodywork, rollcage and paint by Eddy Kasicki, Flaming River Vega steering box, Moser 31 spline axles, Line lock, Meziner electric water pump, Mallory distributor, MSD, Custom Stainless Headers - fender well, Mini starter, Electric fuel pump, Steel crank. 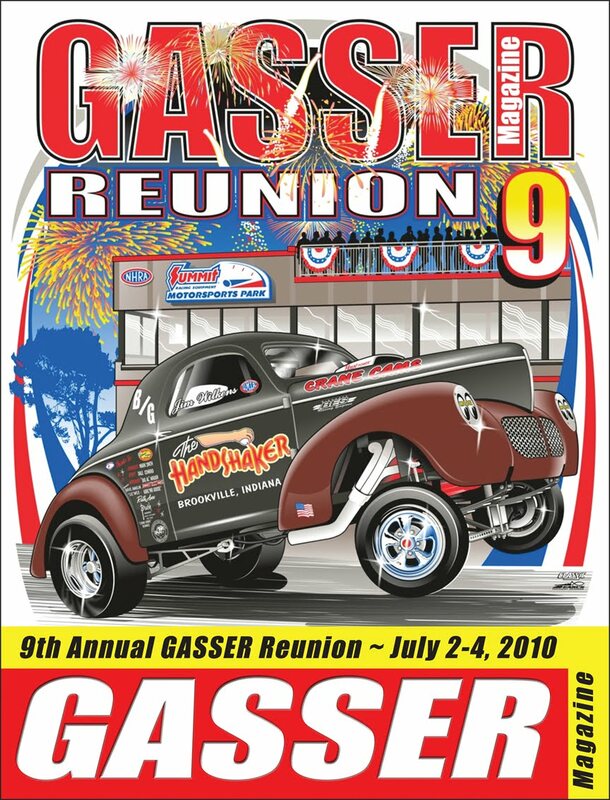 Driven by 'Bones' Balogh at GASSER Reunion. '41 Willys ‘Outlaw’ Custom Coupe. Powering this ‘Sassy Green’ Willys is a Mopar 360ci V8 punched out to a 371ci stroker fitted with Keith Black pistons and Eagle rods with an early 60s cross ram intake with 2 4 barrel Edelbrock carbs. Dressing out the engine bay is an aluminum radiator, aluminum pulleys, Sanderson headers, chrome alternator and chrome AC compressor. A 904 automatic transmission with a 5-disc clutch setup, reverse manual valve body, 3500 stall converter and Hurst shifter motivate this down the road. Out back is an 8.8" posi rear end. Front suspension is a Mustang II with tubular A Arms. Power windows, door lock, door poppers and truck allow all the exterior handles to be shaved. American Racing 15x7 front wheels and 17x9 rear wheels are wrapped in radial tires. There is not another hot rod like this around. 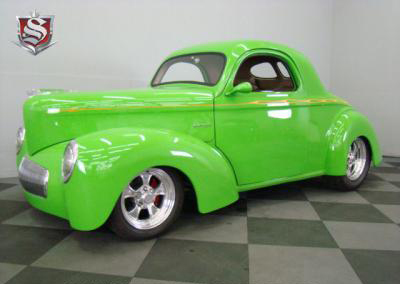 1940 Ford Coupe. 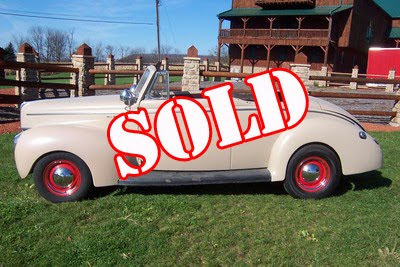 90% original, Flathead V8, 3-speed on the column, new tires and wheels and a great running car. Convertible top not included. Purchased from Arizona owner who had it for over 24 years. of GASSER Magazine in Perfect Condition. of Willys, Anglias and More. 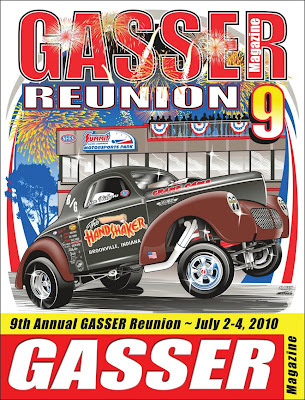 Collect the mag of the GASSER Legends. One owner since January, 1989. Drive this Arizona Willys to your next Cruise-In.